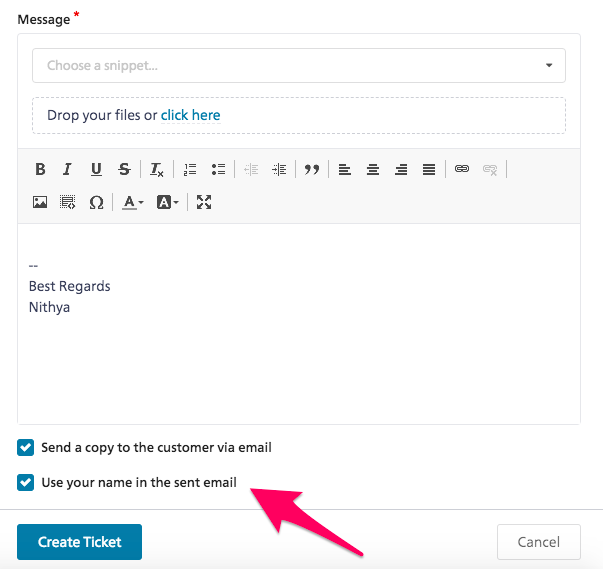 When creating tickets with the ‘New Ticket’ feature, you now have the option to add the agent name as the sender in the copy of the email sent to the customer. Previously, the company name was set as the sender by default. 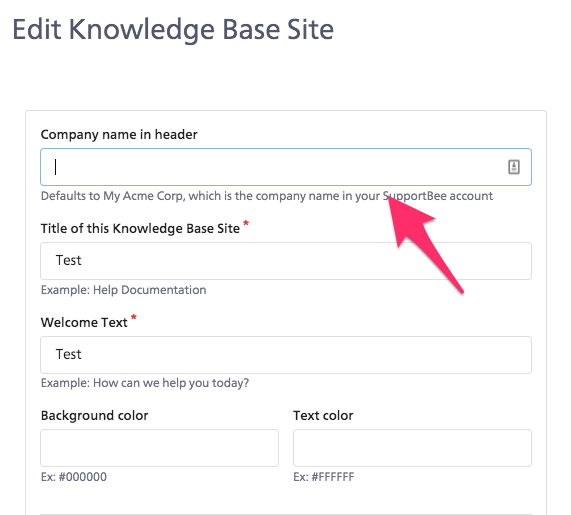 If you have more than one KB site, you can now add a different brand name for each of your sites. Previously it was restricted to the name added to the company settings. There is global setting available now in Admin > Company to decide if you want images in tickets to load by default or only after explicitly clicking on ‘Load images’ within the ticket interface. On slower connections, and on mobile connections, it would help to not load all images by default. Previously saved signatures loaded in the reply interface with dashes preceding them. Now, you have the option to remove the dashes by choosing the third option in the company settings page (Previous image for reference).